With a 13' Beam and 6’6” interior Salon headroom this Cruisers 3672 “GOIN EASY” conveys the impression of a much larger express boat. The designers succeeded in delivering a maxi-volume yacht with an innovative interior in a single-level floor layout, plenty of cockpit space and attractive lines. She is built on a modified V hull with prop pockets and an integrated swim platform. This forward master stateroom has a privacy door and the mid-cabin berth is a spacious sofa sleeper couch with privacy curtain. Additional features include a walk-thru windshield, a separate stall shower in the head, excellent engine access, and a cockpit wet bar and spacious room for plenty of guests for entertaining. Low hours on both 7.4 MPI MerCruiser engines, the owner has spared no expense and attention to details. The cherry wood veneer interior looks as fresh as the day it was sold new. The salon is spacious providing plenty of room for entertaining. It is equipped with a large flat screen TV, large sofa dinette and table along with a large sofa that converts into a full size berth with privacy curtain midship. The galley to port has a two burner glass cook top, Samsung microwave and an AC/DC refrigerator. The master stateroom is located forward with a queen size island berth and a privacy door, there are hanging lockers and plenty of storage. The head is located forward of the salon it has a separate shower with bench and VacuFlush head. The helm area has leather seating, excellent electronics with autopilot and new Garmin 4210 GPS/Chartplotter. Visibility is excellent for navigation and docking. There is a spacious cockpit with seating for 6 more adults and a cockpit table for dining. There is also a wet bar and refrigerator. Transom locker has plenty of storage and a large heavy duty swim platform with easy access to and from the water with a full size swim ladder. Our Cruisers Yachts listing is a great opportunity to purchase a very nice 36' 3672 Express. 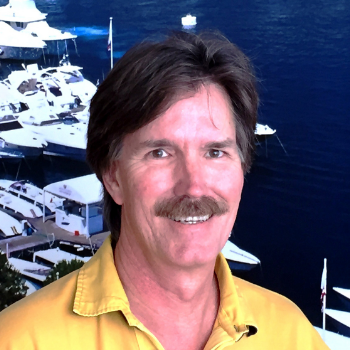 She is currently listed with United Yacht Sales broker Roger Butterfield who can answer all questions about the boat for you. Please don't hesitate to reach out to our team of professional yacht brokers to schedule a showing. There are many yachts listed for sale on the MLS each with a different history. We look forward to helping you complete your search for the perfect boat or yacht for sale.